Fort McMoney "is a 2013 web documentary and strategy video game about Fort McMurray, Alberta, Canada and Athabasca oil sands development, directed by David Dufresne. The documentary uses interactive game elements to allow users to decide the city's future and attempt to responsibly develop the world's largest oil sands reserves." "Over a four-week period starting November 25, users will decide on the virtual future of the city, while exploring the social, economic, political and cultural history of Fort McMurray. Players will be able to virtually walk around the city, meet residents and ask them questions. Each week, they'll be able to vote in referendums and surveys that will affect the city's virtual future, engage in debates, and attempt to win other players over to their "worldview" in order influence the city's development. The game is trilingual: available in English, French, and German." Official website - Watch the trailer and play the game. 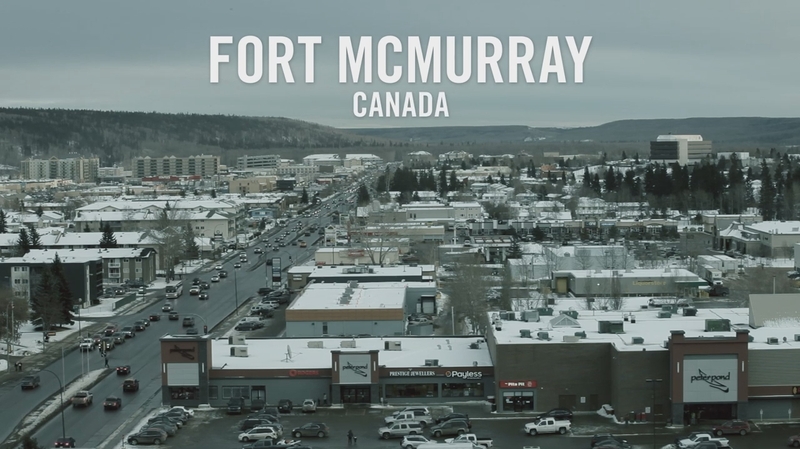 "An interactive web documentary-game, titled "Fort McMoney," launched Monday, inviting players into an immersive online experience set far north in the oil town of Fort McMurray, Alta. Players explore the city and connect with key players in the oil industry, environmental activists as well as those living and working in the city and surrounding oil patch. Players learn the town's environmental, cultural, political, social and economic concerns. Every week for four weeks, players will explore different themes and issues of concern in the oil patch, virtually walking through the city to interview residents, executives and activists. .."